Thermodynamics is a branch of physics concerned with heat and temperature and their relation to energy and work. It defines macroscopic variables, such as internal energy, entropy and pressure. Our Thermodynamics department is divided into two laboratories each with appropriate environmental control measures, ensuring stable, reliable and repeatable results. We are a full-service laboratory, offering repairs, replacement parts, new instruments and a complete range of calibration services with Calibration Certificates. 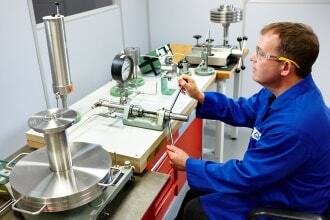 Within the laboratory, each of your tools is cleaned and inspected as part of its calibration. Dedicated permanent stations allow us to safely and efficiently check your test and measurement equipment to its required standards, ensuring you are only without your equipment during its maintenance for the minimum time possible. Handling difficult tests and unique equipment are among our strengths. From an aircraft hydraulics cart to deadweight testers and thermometers, we have capability to inspect and calibrate under the same roof, minimising logistic and administrative times. Larger immovable items can be calibrated at customer sites, subject to certain conditions. Handled by technicians with years of experience in precision calibration and expertise in real-world measurement applications, your tools are back in a matter of days instead of weeks. Your tools are adjusted for best accuracy at no additional charge and you get calibration results as part of our service. Damaged tools can be repaired and restored to their original performance, often for a fraction of their replacement cost. When an item is not repairable we can provide replacements, saving you the effort of sourcing from multiple suppliers. Pressure is a derivative of the force applied to a unit area, and many units of measurement exist. The term is normally used for describing the energy contained in gas or fluids in a closed system. There are typically three reference points for a zero reading depending on the type of instrument: Gauge instruments use the ambient air pressure as a zero; Absolute instruments use a vacuum as a zero and finally differential devices use another generated pressure as a zero reference. 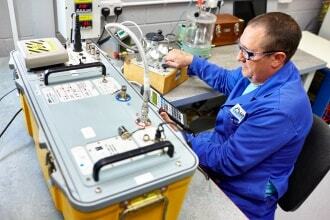 Our dedicated pressure laboratory has segregated areas, equipment and fittings for Gas and Hydraulics. Both areas have a range of deadweight primes, electronic controllers for secondary measurement, and deadweight and transfer standards for tertiary measurement devices. 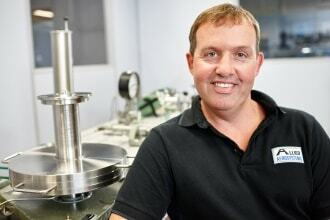 Working within the pressure directive and other safety regulations, we can calibrate among other things: deadweight testers for pressure equivalent, and by utilising our accredited mass and dimensional laboratory we can also provide mass and effective area calibrations of deadweight testers; Electronic controllers; Air data test sets; pressure gauges; various custom built pressure and flow control rigs. Temperature is a comparison measurement between two states of kinetic energy, one being higher in energy and therefore hotter. The lowest state according to current theory is absolute zero, where theoretically all matter in the object would be stationary. Various scales of temperature are used. Each references zero and increments in a multitude of ways. The common ones are Celsius, Fahrenheit and Kelvin. A dedicated laboratory with a selection of stirred baths; environmental control chambers; dry blocks; blackbody sources; fixed points; thermocouple calibrators; precision thermometers and reference probes, all offering a range of temperature and humidity measurements. Our range of temperature services includes: Thermometers of various designs; thermocouples; block calibrators; baths; temperature chamber/room; Infrared thermometers; Humidity and temperature meters. Allied Aerosystems Ltd Avionics & Metrology Centre. Allied Aerosystems Ltd. All Rights Reserved.